Although Atelier Rorona was first released for the PS3 in 2009 to kick off the Arland trilogy, the “Plus” version for PS3 and Vita was actually released after Atelier Totori Plus and Atelier Meruru Plus, the “Plus” versions of its sequels. Why? Who knows. It definitely benefited from coming last though, as Totori Plus suffers from some issues that were resolved for Rorona Plus. In most ways, this game is very similar to Atelier Rorona Plus. Gameplay is basically the same, the slice-of-life/JRPG mix is about equal, the characters and their interactions are very familiar (especially since there are plenty of recurring characters), and it’s still a very fun and lighthearted game. Several years after Rorona successfully convinced the kingdom to let her alchemy atelier remain open, she began to travel with two goals in mind – to find her master, Astrid, who had left without a trace, and to teach alchemy to others. Unsurprisingly, she failed at both for the most part, only finding one pupil capable of performing alchemic synthesis – Totori, this game’s protagonist. Well after first meeting Rorona, Totori and her childhood friend Gino decide to become official adventurers of Arland, with the end goal being that they find Totori’s missing mother, who was a famous adventurer that went missing many years earlier. The search for Totori’s mother doesn’t become a significant plot point until the three-year mark, as everything before that just consists of adventuring shenanigans. Having characters such as Sterk, Cordelia, the shop owners from Arland, and miscellaneous others all come back really helps to draw in those already familiar with Atelier Rorona. And Rorona herself (AKA 2nd best girl from her own game) has the best/worst entrance I have ever seen for a video game character. You know the extremely hyped-up entrances that athletes get before a match? Imagine the complete opposite of that. Because of the high amount of recurring characters, jumping into the trilogy with this game would be quite jolting – it’s well established who the characters are, but not knowing their pasts or relationships with Rorona can result in quite a lot of confusion. I might be a bit biased, but these character completely steal the show from most of the new ones (my party was pretty much exclusively Totori, Rorona, and Sterk). Of course, a lot of the character-centric part of the game had plenty of weird localization decisions. Like one super-literal translation/Borat reference. Regardless of any great successes, it’s always super enjoyable and can easily cause you to crack a smile. As far as gameplay goes, this is mostly the same as Atelier Rorona Plus. One side is focused on going out and adventuring, where you fight enemies and collect materials. The other side is the alchemy synthesis, which mostly relies on items that you find in the wilderness or pillage from defeated enemies. For the most part, this split works very well, but there is one substantial issue with it. 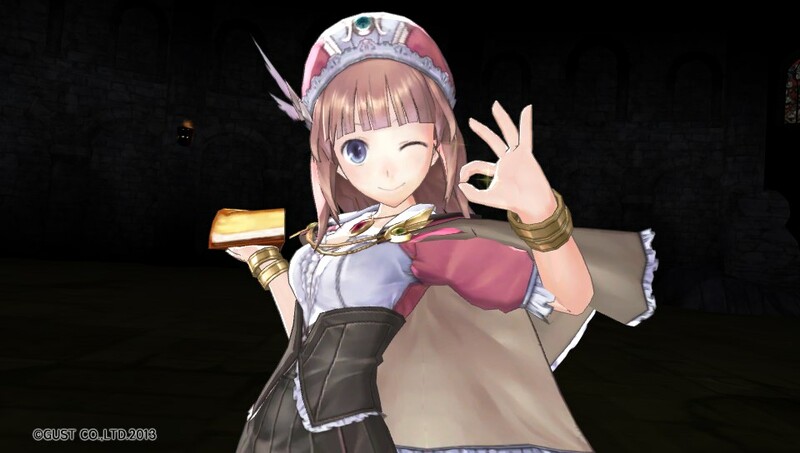 During much of the game, the thought constantly plaguing my mind was “Am I doing something wrong?” Atelier Rorona had set goals for each three month period and I never felt rushed, but here there’s just a general goal to reach within three years – become an adventurer and rank up. The third year rolled around and I wasn’t sure if I would make it, and I had a feeling that everything would end on a pretty pathetic whimper. But then I found out that there were two more years to go. This might sound like a lot of in-game time (five years! ), but the game actually took less time than Atelier Rorona did to complete (25 hours vs 30). The reason for this is the annoying pacing. In Atelier Rorona, traveling, synthesizing, and resting would all consume time. 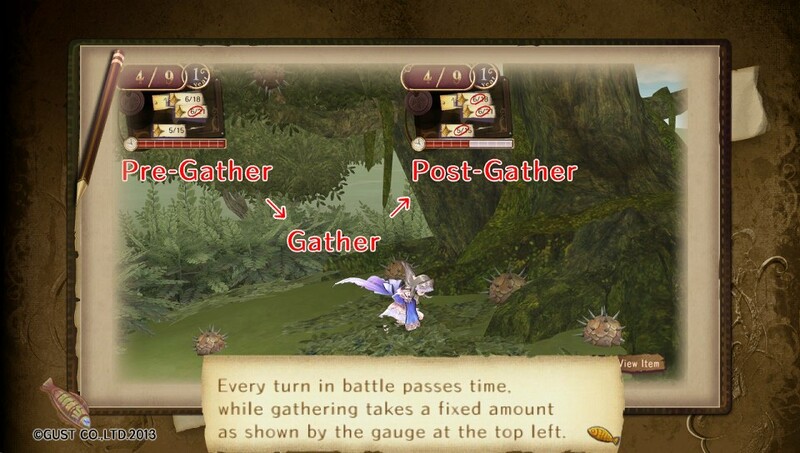 In Atelier Totori, battles and gathering also consume time. So you can arrive at a location, spend a few minutes walking around, clearing out enemies while gathering all the supplies and then BAM several days have passed, and that’s not even including the time it takes to travel back and forth. The amount of in-game time allowed is obviously built around this, but when the map is pretty large, you need to constantly go back and forth between Alanya and Arland, and fighting becomes an annoyance because of inevitably consumed time, it all stacks up into an annoying aspect that I could have done without. The battle system is pretty much identical to Atelier Rorona. 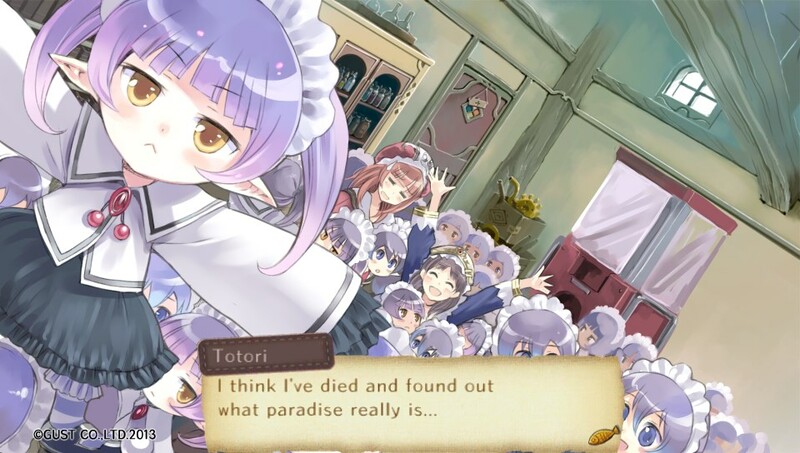 Totori is mainly in a support role, using items to heal or dish out damage, while being defended by the other two party members. As another alchemist, Rorona can also use items, but she’s able to use powerful skills as well. Including one where she can make pie in the middle of battle. Why don’t more games have mid-battle food production? As you get farther into the game, the most important thing is equipment synthesis – you need to create your own weapons, armor, and accessories, as the stock ones are woefully inadequate against tougher bosses. Different items have different attributes, and these can be pushed onto equipment for certain effects – so you could synthesize a sword that deals fire damage, always critical hits dragons, and converts a percentage of dealt damage into health for the user, or you could create armor that boosts defense, health, and ice resistance, or you could make an accessory that boosts all stats by 3, grants immunity to poison, and has a chance to prevent KOs every once in a while. It’s very rewarding once you get to plan out how to build your arsenal for the greatest effect. 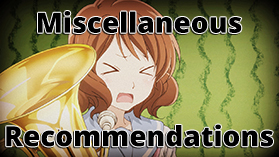 While I don’t like it quite as much as Atelier Rorona Plus for a few reasons, this is still a great game. It’s overflowing with cuteness and charm, all of the characters are very fun to follow in their (mis)adventure, and the balance in the gameplay makes everything lots of fun – even if the pacing is a bit whack. 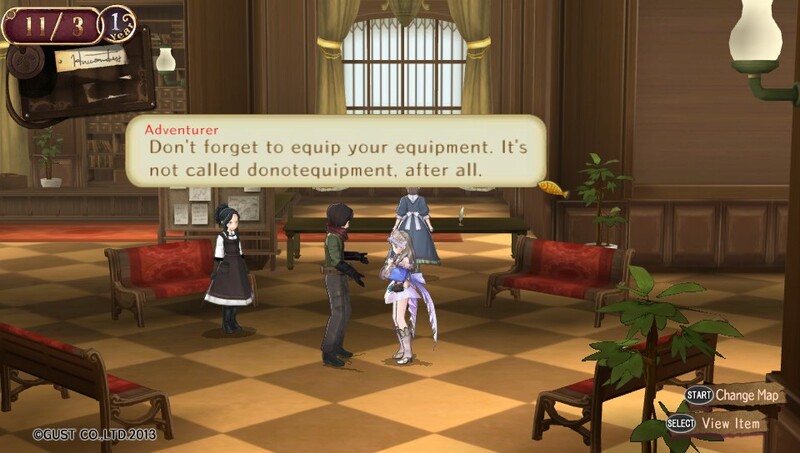 Above all else, this game teaches good RPG habits. Price – $39.99 US on the PSN – it is digital only outside of Japan. This and the other two games recently went on sale for about $15 (so I picked this and Meruru Plus up immediately), so you may want to wait for a sale rather than dropping the full price on a game that’s already been out for two years. When I originally posted this yesterday, the “publish on” date was last Tuesday for some reason. So I’ve fixed that. I’m looking forward to the upcoming Atelier Shallie. I’ll probably jump into that trilogy once I get through Meruru Plus. Of course, I’d imagine that I’ll end up holding back for the Plus versions of those.